Health Care Realty Trust is the largest owner/operator of medical facility properties in the United States. 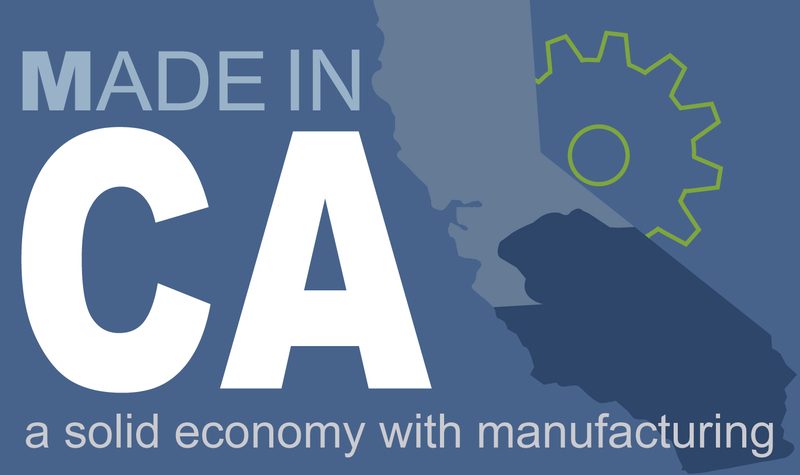 The company operates over 600 properties in 32 states. Healthcare organizations that occupy HRT properties look to the company to provide infrastructure that supports emerging technologies. HRT is challenged with identifying technology infrastructure that goes beyond simple communications networking and actually delivers business applications for the tenets. HRT is seeking to define a new class of tenet services that deliver value to the tenet and income to the operator. Working together, FutureTouch and HR Symbiont have been able to develop a custom application that satisfies the immediate needs as faced by the tenets. 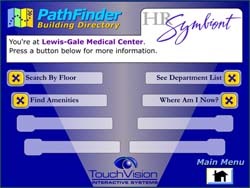 FutureTouch’s PathFinder Module allows visitors and patients at the various locations wayfinding assistance to help locate Doctor offices, labs, pharmacies, waiting rooms, etc. Another immediate need focused on the ability to provide pertinent medical and health information via a “self-service” appliance. 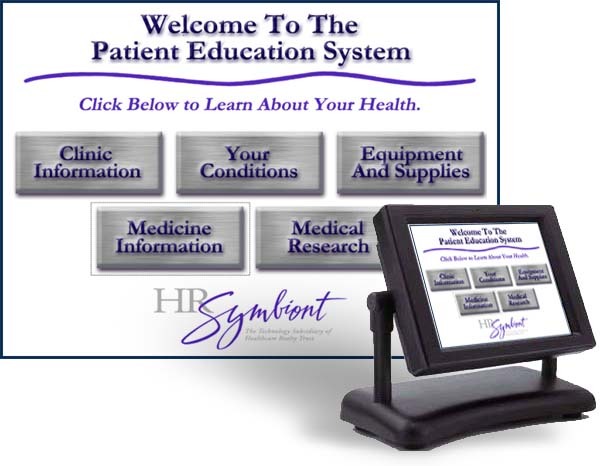 Menu selections link directly to websites such as WebMD for Medicine Information and Medical Research and Hudson RCI for Medical Equipment and Supplies. Also, by utilizing multi-media devices such as plasma screens and large display LCD’s, the tenets are able to channel related advertising content directly to patients in lobbies, waiting rooms and cafeterias. Future development of infrastructure includes Patient Registration Automation.